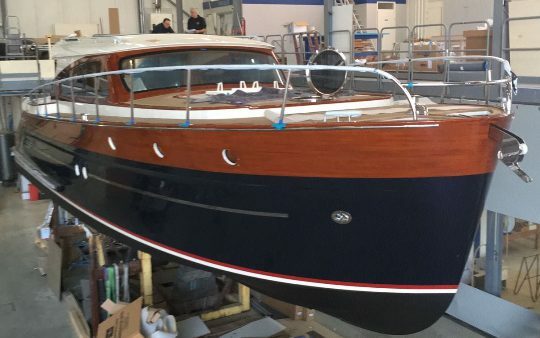 The new Breedendam MTB Fourzero Wheelhouse is a retro classic inspired cruiser built with the latest technologies and designed by famous Dutch Guido de Groot with naval architecture by Flamme. 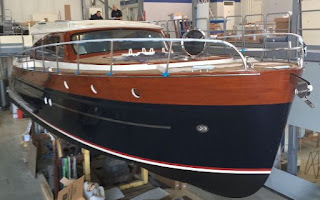 The comfortable wheelhouse is bright and spacious and features an electric hard-top roof and a sliding window between the salon and cockpit enhancing the alfresco ambiance. The combination of sturdiness thanks to the aluminium construction, sportiness and elegance makes the MTB Fourzero Wheelhouse a unique offer in today's market.